The most recent development in child obesity took place back in February when the CDC did a study on obesity for children and adolescents. Early on, the reports were very positive, indicating that there was a decrease in obesity rates among children ages 2 to 5. However, as people began analyzing the data for all ages, they realized that those positive reports may not be so positive after all. Instead of obesity rates decreasing, as was previously reported, they rose, as well as those who are considered severely obese. One of the many reasons that something needs to be done about this, and soon, is the financial cost that it will have on the parent and the adolescent’s future. Multiple reports indicate that an obese 10-year-old will cost almost $20,000 more than if the child were at a healthier weight. That would cover most in-state tuition costs at many colleges across the country. More important than money, however, is the children’s health. Obese children are at a much higher risk for cardiovascular disease and diabetes than those who are at normal weight levels. The question is, what is causing childhood obesity? This is a complex question that has more than one answer. Still, there are two major causes, and they are too many calories with too little exercise. The range for caloric intake varies by gender. For my purposes, I am going to use the amounts for what WebMD recommends for those that are “moderately active”, though I think I’m being generous with that term. To keep my focus narrowed, I will be concerned with high school students ages ranging from 14 to 18.The caloric range for gender, assuming they’re moderately active, for females is 2,000 calories and for males it is 2,400 to 2,800. According to the Department of Agriculture’s Nutritional Standards that they posted in January of 2012, the minimum calories for a school lunch is to be 750 calories, while the maximum is to be 850 calories. Does this sound like a lot? Well, apparently the 850 maximum is equivalent to a Big Mac and small fries from McDonald’s. This amount, however, may not be too high if the lunches contained healthy and nutrient-rich food. If we average out the school lunch to be 800 calories, that’s 40% of the recommended calories for females in high school, while a more reasonable 29% to 33% for males. This is assuming the students are spreading out their calories evenly throughout the rest of the day, which is unlikely being done. Also, something this does not account for is any snacking or drinks that a student might be consuming before, during, or after lunch. All of this is still assuming that students are moderately active, mind you. A solution that I’m proposing involves tackling one of the two problems that cause childhood obesity in the schools. As I stated above, one of the problems is eating too much, while the other is exercising too little. Although exercise is extremely important, I want to address that adolescents are eating too much. The reason I’m focusing in on diet instead of exercise is because changing one’s diet is the most effective way to lose weight. Another website that is dedicated to parenting, also recommends dietary changes, alongside exercise, in order to battle childhood obesity. Clearly, school lunches are leaving much to be desired and are only part of the problem with childhood obesity. Is there anything that is being done about this? Sort of. In fact, the Department of Agriculture’s new set of standards that was released in 2012 was put out because of Michelle Obama’s campaign to combat childhood obesity. Prior to these standards being released, a study showed that students who ate school lunches, instead of bringing one from home, were at a higher risk of becoming obese or overweight. The study was released in 2010 and would be considered slightly outdated because of the new guidelines placed on school cafeterias recently. What is most interesting, however, is that since Michelle Obama’s campaign, adolescent obesity rates haven’t budged. One would think that this school lunch reform would have impacted obesity rates, limiting calories and consumption of particular foods, but it hasn’t. How has this reform been received? Well, by the students, not so great. A report in March of this year stated that over 1 million kids have stopped getting school lunches because of her new guidelines. Many students have been taking to social media to show their discontent with school lunches. It seems as though these standards aren’t really making things much better. I believe that’s because the school’s philosophy hasn’t changed. They aren’t really worried about student’s health, or this school lunch issue should have been taken care of a long time ago. It wouldn’t be fair of me to complain about poor school lunches and not offer alternatives, which I’m glad to do. A big one that isn’t being done is staying away from processed foods. On page 4163 on the Department of Agriculture’s Nutritional Standards, it states that it’s okay for schools to use processed foods. Nature, an international weekly journal of science, did a recent report on processed foods and the impact they have on our healthy. The two most important points from it were that processed foods are protein-poor and don’t curb appetites, but rather make it easier to overeat and not get the proper amount of nutrients one needs. Processed food include anything canned, baked goods, most grains, and pre-cooked, frozen food, to name a few. In addition, the calorie range should be changed to a macronutrient range of proteins, fats, and carbs. Schools also need to be required to use real meat, preferably chicken or ham for lower cost, and generous portions of fruits and vegetables. It’s almost a cliché to say kids need to eat more fruits and vegetables, but that’s still a problem. Plus, many schools still use canned or processed fruits and vegetables, which lose much of the nutritional value that make them important to include in the first place. I also know that all of this costs more, which means we may actually have to raise student lunch prices. For those who have trouble affording this, there are always low-income programs that help families afford this who can’t. The National Standards I discussed above focus a lot on calories, but doesn’t fully address the lack of quality in food that is being provided. I do have a hard time, though, putting all the blame on the schools. One bad meal everyday can certainly impact one’s health, but I doubt these kids are only eating bad at school. Where else are they having the opportunity to indulge in unhealthy foods? According to the comments section in this article, where students were invited to say how long their school day is, the average seems to be roughly 7 hours. The average amount of sleep a teenager gets is also about 7 hours. This means that limiting caloric intake during school times would leave only 10 hours, or so, left for students outside of class to eat. A good portion of a students eating is done at school, but an even bigger portion of it is done outside of school. Who is responsible for the food being provided in this context? Although adolescents do bear some of the burden, most of it lies with the parents. Unless breakfast is being eaten at school, which is an option, most of an adolescent’s eating is done at home. Students spend more time out of school than they do in it. It is logical to assume that most of their meals and snacks occur outside of school. This means the parents need to begin providing better options for their children to eat, even if it means packing a school lunch instead of buying one. Obviously there is the stigma, and now the study to back it up, that it is more expensive to eat healthy. According to the study, about $550 a year more expensive. This could pose a problem for a family struggling to provide for everyone in their household. I understand this, but we must keep in mind the extra $20,000 it will cost every obese 10-year-old in medical costs throughout their lifetime. Quick math makes buying healthier groceries an easy decision. Let’s assume that it would cost $550 extra every year to feed your child healthier food. The 18 years you’re legally responsible for raising them would cost an extra $9,900. Now, put that up against the $20,000 in medical costs for an obese child, I think it’s safe to say that this is the better investment. Also, we are overlooking the other benefits of eating healthy, like feeling and looking better, which would provide higher self-esteem. Some might argue that many families don’t have the expendable income for this, but I would say the same in regards to the medical costs. School lunches need to be reformed, again. We all need to stop eating fast food and buying unhealthy groceries. We need to begin looking to expand our own and our student’s lifetime, not waistline. Children are this country’s future. We need to begin taking care of ourselves, so we know how to better take care of our children. If parents are having trouble doing this, it’s no wonder kids are having the same issue. Student loans are the new debt, but it looks like obesity could be causing a debt of its own through higher medical costs and shorter lives. Those are two things I would like to avoid, because, unlike medical cost, the latter can’t be paid back. I originally hit the dusty trail looking to reblog something about Cliven Bundy. Alas, I couldn’t find anything palatable. Then I found this very interesting article about Childhood Obesity. Lots of good information and common sense here. I enjoyed reading this public argument very much. You made excellent claims regarding school lunch reform, the statistics of an obese child vs. a healthy one, and pointing out that it is also the fault of parents. I for one completely agree with you that schools need to change their lunch menus, especially when most of it is processed foods. I understand that this type of food is significantly cheaper than organic, but cardio vascular disease from being obese is NOT worth it. We need to recognize the increasing percentages of obesity in children and work together to end this epidemic. If I ever have children, I will do whatever I can do ensure that they do NOT eat processed foods filled with trans and saturated fats. Well done! 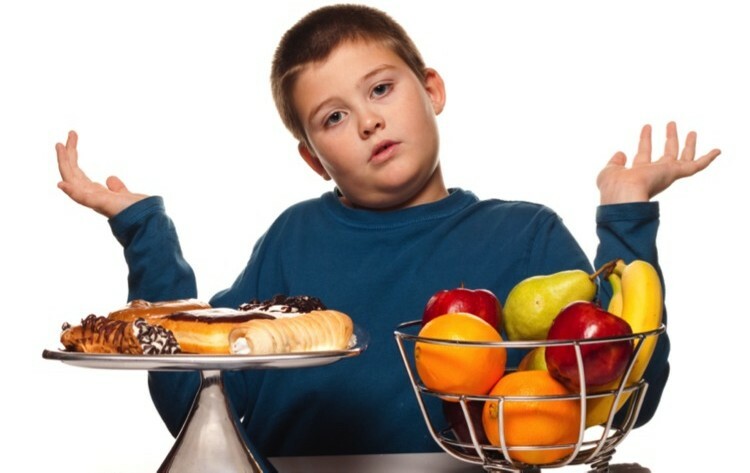 And on this post Childhood Obesity: Who�s Fault is it? | 808 Opinions. few of these remarks appear as if they are written by brain dead individuals? attempt you place to make such a great informative web site. I do not leave a response, but I glanced through some remarks here Childhood Obesity: Who�s Fault is it? thing which I feel I would never understand. It sort of feels too complicated and very wide for me. written by means of him as nobody else realize such particular about my problem. infestation, visit their site at to get a free estimate. Wow, amazing blog layout! How long hɑve yoս Ьen blogging for? is wonderful, ɑs well ɑs the content! Reading this info So i’m satisfied to express that I’ve a very just right uncanny feeling I discovered exactly what I needed. Obesity… Who’s fault is it? To many calories with too little exercise! | My Little Buddy Trapped Inside! Too many calories, too little exercise. | My Little Buddy Trapped Inside!